Cleanup and reconstruction efforts are underway in all the areas that were hit hard from Hurricane Harvey. Given the amount of work not only in Texas but also in Florida and Puerto Rico, construction crews are being stretched thin. This could mean a delay in rebuilding efforts. Thankfully, there are additional independent contractors that can help with the recovery effort. For construction debris cleanup, you can always count on Junk King Houston to get the job done. Construction cleanup involves handling heavy debris that is also potentially hazardous. The crews working for Junk King Houston have a lot of experience with this type of clean up. They can size of a pile of rubbish and know exactly the best approach for loading it onto their truck without anyone getting hurt. Although the debris that’s been loaded might be heavy to lift, you won’t have to worry about being charged by the pound. Junk King Houston’s pricing policy is based on how that crew will be packing up the truck. Their goal is to get as much into as little space as possible. That will mean you’re paying the low end of the price scale. Even with something as bulky as construction waste, you’ll still find that Junk King Houston offers the best prices in town. There’s no gouging with this company! 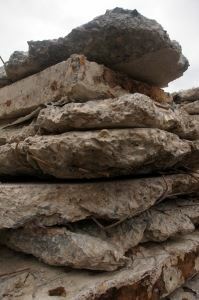 A lot of what is thrown out at a construction site could end up being recycled. That is certainly true for scrap metal, concrete and lumber. Once again, Junk King Houston steps up to get the job done the right way. They’ll if I those materials that can be recycled to make sure that dropped off at the proper recycling facility. Not every junk removal company will go the extra mile to protect the environment but Junk King Houston has been dedicated to this philosophy since they began collecting rubbish over 10 years ago. Hiring Junk King Houston could be a big relief to your contractor. Don’t wait to handle your construction debris cleanup. Give that job to Junk King Houston today. This entry was posted in Houston Junk Removal and tagged construction debris cleanup, Junk King, junk removal on September 30, 2017 by Junk King. Last updated October 1, 2017 .